Comp-U-Train computer training > Watch TV abroad! As I live in South Africa, we are not able to easily watch Television shows that are being streamed internationally over the Internet. This is because we are being subjected to what is known as being “Geoblocked” or “Region locked”, by the overseas TV programme streaming website. This simply means that unfortunately, foreign TV streaming websites know that we are not in the same country and block us from accessing online television shows over the Internet. Unfairly, this prevents us from streaming these shows to our computers or other devices. Luckily for all of us living abroad, there is an easy and affordable way around being Geoblocked that Comp-U-Train has used since 2010. We thoroughly recommend an amazing company called HideIPVPN. 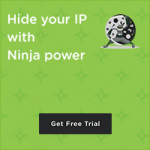 HideIpVPN came to our rescue with their various technological solution methods, which enable us to connect to foreign countries such as the U.K. and Australia to watch streamed Internet TV shows! One such method is via a VPN (Virtual Private Network) connection. This effectively allows you to appear to be in an overseas country; when you are not. The VPN sets up a secure end-to-end tunnel between your computer and the VPN server. Internet data signals leave your computer and immediately enter a secure tunnel. These signals then pop out of the “exit node” server on the other end in the overseas country where the proxy is located. An analogy is to think of a VPN as a road tunnel connecting two countries. Any signals that you send over a VPN, cannot be intercepted or decoded as they traverse through the VPN tunnel. The overseas Internet TV company sees you as being located in their same country and allows you to watch their TV programmes as if you were there. How cool is that! The second way is via a very clever “Smart DNS” proxy service. DNS stands for “Domain Name System” and functions like the Internet’s telephone book. Normally, when you type the name of an Internet website into your “World Wide Web” Browser (hence the www in a URL aka Internet address), a DNS server run by your ISP (Internet Service Provider) “resolves” or translates that name to an IP address which computers on a network use to send information from one to another. The “Smart DNS” service utilises a proxy server, which is a third party DNS server located abroad (rather than your ISP’s DNS server). This Smart DNS service is used for overseas countries which utilise a more sophisticated form of determining which country you are located in. The foreign country can tell which DNS server has directed you to them. Smart DNS brilliantly re-routes this information via a proxy or intermediary server located in the overseas country, so that the foreign Internet Television provider sees that you are being routed through the same local DNS server as if you were living in that country. HideIpVPN makes sure any local websites that you want to visit, are routed locally as if you are still in your home country. You wouldn’t want a local website thinking you were abroad; hence the term “Smart” in “Smart DNS”. HideIpVPN has recently increased the number of VPN “exit node” servers in Luxembourg and Lithuania meaning that they now have servers in 11 countries: United States, United Kingdom, Netherlands, Germany, Canada, Poland, France, Singapore, Lithuania and Luxembourg and Australia! For the full list of countries please click me. HideIpVPN offer a “SmartDNS” service which allows us to easily access overseas video streaming websites such as cbs.com in the USA. HideIpVPN also offers a VPN connection which works perfectly for connecting to UK. streaming sites. Once you have set up your SmartDNS or VPN account, all that you have to do is download their special application (app). This app is available for both the Windows & Macintosh platforms. These applications have been recently updated with a completely new design. When you want to watch overseas streaming television, you simply launch the app and then open your web browser. Now go to the streaming website and you will be able to watch the video stream. Using SmartDNS rather than VPN is the best way because your video stream is not routed through a foreign computer which can cause delays and poor quality video…can you say “stuttervision”? Even their VPN service is fast, which means no slowdown caused by bottlenecks, because HideIpVPN servers offer up to 1 Gbps/per user! Yes, you read that correctly, that’s up to one GIGABITS PER SECOND! Please click here to go to the HideIpVPN website to order their SmartDNS or VPN service. You will not be disappointed and most importantly, you will not have to suffer anymore from annoying Geoblocking error messages such as what is shown below!